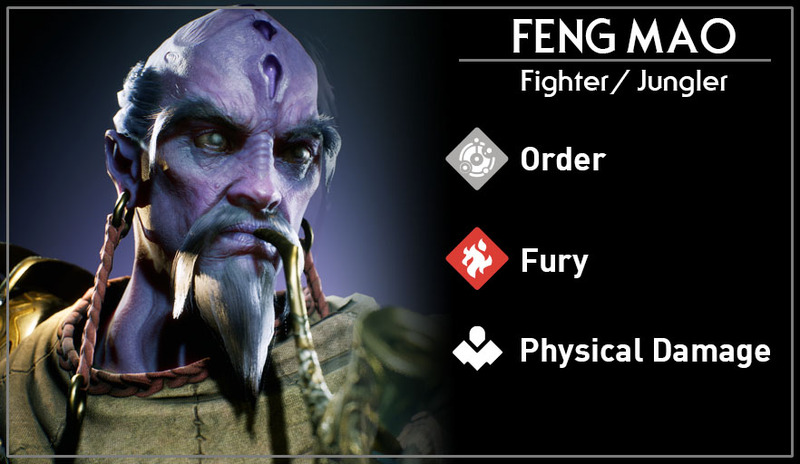 Feng Mao is a tanky bruiser / jungler with good sustained damage. Its very easy to jungle safely as Feng Mao due to his shield. 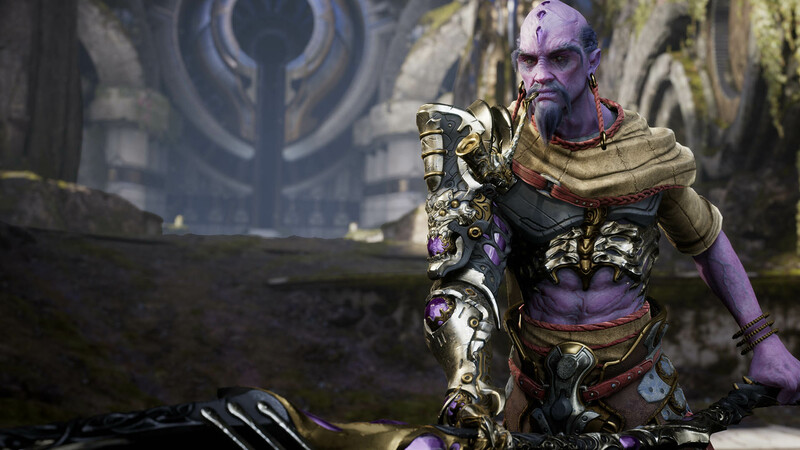 Ganking may be hard since he doesn’t have any burst damage like Kallari or disables like Rampage or Sevarog. Gain offensive stacks when using defensive abilities and vice versa. Melee basic attack with cleave damage. Damage is increased based on defensive stacks. Generate a shield to block damage. Shield strength is increased based on offensive stacks. Teleport a short distance forward passing through all minions while dealing damage. Collides with enemy heroes. Grants an offensive stack. Deals damage and slowing enemies around him with a spin attack. Grants a defensive stack. Slams blade on the ground dealing damage to enemies in a line. Also generates a shield.